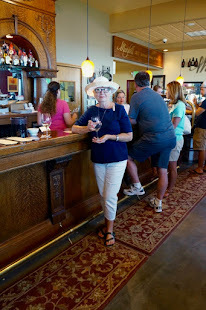 RETIRE IN STYLE BLOG: 71 YEAR OLD WOMAN Succeeds at Social Media...surprised? 71 YEAR OLD WOMAN Succeeds at Social Media...surprised? Screen Shot of Journywoman website. Retro and Wonderful! It is interesting the things I stumble onto on Sunday mornings. This morning as I went through my email, I found a notice from my linkedin travel group. One of the members had recommended an article about an a successful travel expert. The title of the story attached to the audio interview above jumped off the page at me: "This 71 year old knows more about social media than you and I do," the title read. All I could think was; really? You actually said that? You see, I know 71 is not old; most people of that age know more about everything. That is no surprise to me. I am coming up on 70 in a few days. The story was written by Ron Tite on his blog and included his youtube audio interview above. Ron Tite is a very successful man and has been named one of Canada's most creative men by Marketing Magazine. He is working currently as Vice President [of] Innovation Practice at Euro RSCG. He managed to score an interview with Evelyn Hannon, a travel expert and mentor for women that travel alone. She truly is an amazing woman and evidently always has been. But what caught Tite's attention was the fact that she is a 71 year old that understands social media and makes it work for her. I would assume that he had never had much contact with people older than himself and works in a world that does not include more experienced humans. Evelyn Hannon began her journey as a single woman in the 80's after a divorce. She had traveled a great deal with her x-husband and found she was a little apprehensive about venturing out on her own. She over came her fear and began traveling and journaling about her experiences and knowledge. 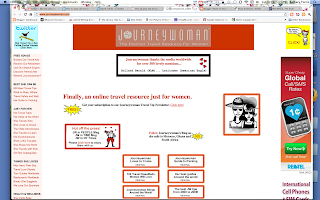 As the years passed she shared what she knew with other woman and in the late 90's built a website called Journeywoman, A Premier Travel Resource for Women. 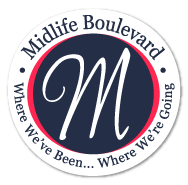 The website remains unchanged and is now getting awards for the retro look and forward looking advice. She simply does what she does because she cares about the people she connects with. The fact that she is a woman does not count nor does that fact that she is 71. What counts is that she is doing what she loves and doing it better than anyone else. You have to love that! Hi Barb! 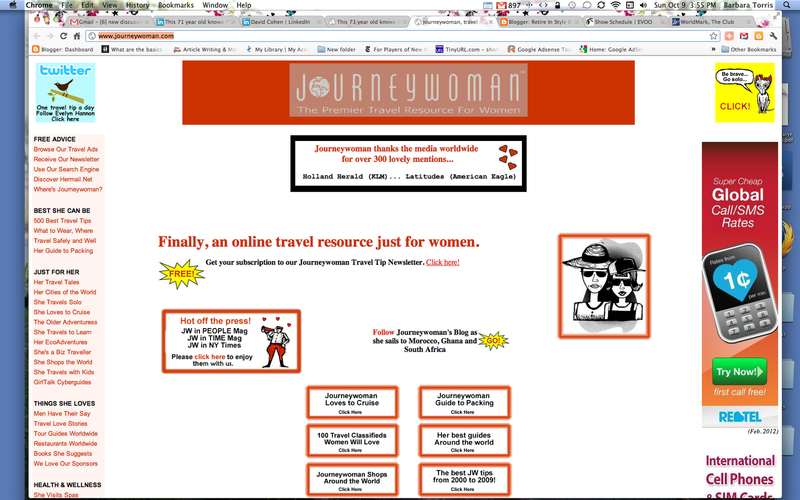 I loved your blog about me and http://www.journeywoman.com. 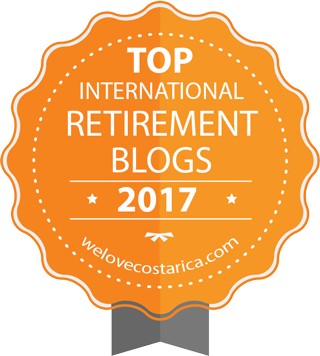 I hope you become part of our network and register to receive our women's travel tip newsletter. These are not my tips, they are tips from women travelers around the word. Please join us. I wanted to answer your concerns about how Ron approached the subject of my 'social media success.' I don't think he cares so much about my age or gender rather he is saying what you think he isn't. That is ... young folks live and breathe technology and that is not bad. That is their world and they are doing great things with it. However, I at 71 did not grow up with that technology and so I've reverted to what I know best 'communicating' and 'caring' via the most basic use of technology and I am proving that 'caring' gets you further than Google+ (without caring). It's not about ageism at all. It's about making connections. I love the fact that Ron Tite singled me out as an example of that type of caring. Thanks for giving me the opportunity to have my say. Thanks for reading and for sharing your thoughts. In a way, I guess I agree - that was kinda the point of the article and interview. In the world of advertising and social media, many assume that those who aren't "digital natives" aren't as knowledgable because they're used to pre-existing forms of communication. Heck, I'm 41 and I get written off by 20-somethings all the time. Usage data certainly supports their argument but just because those over 60 may not behave like 20 year olds or use the same tools in the same way, it doesn't mean they don't know what we're doing. In fact, what I tried to communicate (although I guess I could have done a better job) was that the real advantage is with those who don't depend on the tools because they have something far more powerful: an emotional willingness to connect. Did I say "71 year old" to make my point more dramatic? Sure. But I think it helped me prove my point. I don't respect Evelyn because of her age, I respect her for her brilliance. She gets it and she would still get it if she was 20. Or 30. Or 80. Sorry you didn't take away from my post what I hoped you would. And thanks for allowing me to clarify. I suppose this is the danger of the immediate communication on the internet. We do not see the expression on peoples faces or hear the intonation of their voice. In this particular case I was very literal in my thinking. I know better. Like most headlines or title, this one set the tone before I even began reading. Even though the article was very complementary and supportive, the notion that this woman was able to do this at 51 or 61 or 71 seemed to be a surprise. I did not think about the woman part so much as I did the age part. In this case I wanted others of my age to know that what they do is amazing but not because of how old they are but because of their accomplishments. Ron, your article was wonderful. Anything that starts a discussion is good. I agree with you. People of my age are not just learning new things; they are adding and building on a store of knowledge. And I understand that agism starts very young in our life. I began teaching at 20 and my students thought I came across the plains in a covered wagon! Evelyn, you saw what I did not but then you had the conversation. I appreciate your defense of Ron. All my best to you both. Thank you again. This illustrates the best part of this whole just-in-time communication: Good, honest and smart people can engage in thoughtful discussion that pushes everyone's thinking. Simply put, we're all better for it. Thanks for your interest and thoughtful dialogue! Great story! I wonder if she is a Red Hatter, too. She sure fits the profile with her "hattitude!"